In the world of “if it breaks throw it away and by a new one” or “I have to have the newest and fastest”, why has the 30-06 stayed so popular for over 110 years? It seems that every few years or so a new caliber is being touted as the latest and greatest, but the 30-06 still remains in everyone’s caliber line-up, steadily performing no matter what the situation. 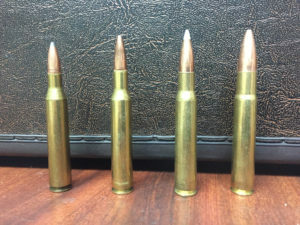 The 30-06 Springfield was invented to be a better military caliber that’s what the Spanish and German Army were using. The caliber that the 30-06 replaced was not a bad caliber, the 30-40 Krag, which had almost identical velocity and bullet weight as the .308 Win. The main problem was the weak Krag Jorgensen action that the rifles of the day were being made on and how hard they were to reload. If the Spanish would have had more troops and had been better trained to defend the countryside, they might have won the Spanish-American War. In 1900, bids were being submitted to replace the 30-40 Krag caliber and rifle with a stronger, faster, more accurate rifle. In 1903, the Springfield Company built a new rifle and cartridge, naming it the 1903 Springfield rifle and 30-03 Springfield caliber. The rifle was a very close copy to the 98 Mauser and the U.S. Government had to pay infringement rights to Mauser for copying the design. The 30-03 caliber used a round nose bullet which was still inferior to the 7mm and 8mm Mauser of the day. In 1906, the U.S. Government changed to a lighter Spitzer bullet which was loaded to a higher velocity. This became the standard issue for the U.S. Military and was named the U.S. 30 caliber 1906 or better known as the 30-06 Springfield. Now, 110 years later and the 30-06 is still around while many other great calibers have come and gone. The 30-06 is a great caliber with dozens and dozens of bullet types and weights to choose from. I would not be afraid to hunt any game animal on earth with it and for all mid-sized animals, it is the perfect choice. The 30-06 just seems to do everything well. There are flatter shooting calibers and calibers which have more energy and calibers which are more accurate but in real life hunting do you really need a ½ MOA rifle or does it make much difference if your rifle drops 22 or 24 inches at 400 yards? The 30-06 is a very versatile caliber. You can shoot bullets from as light as 110 grains up to the heavy 220 grain bullets. It seems the perfect bullet weight is from 150 to 200 grains with my favorite being the 165 grain Sierra Spitzer. A good load in a 30-06 will shoot a 165-grain bullet at 2850 feet per second which means it drops about 24 inches at 400 yards and has 1650 foot-pounds of energy at the same distance. This is flat enough with enough energy to cleanly kill any North American game animal. Now if I plan on using a 30-06 on big Bears or Moose then I would move up to a heavier, harder bullet like the 200 grain Swift A-Frame or the Nosler Partition bullet. The larger animals require deeper penetration and the bears have an extra layer of fat that has a tendency to close up leaving no blood trail. If you can get a pass-through shot then you will have a better chance of having something to follow. Accuracy with a 30-06 is good, but not great. Most will shoot under an inch at 100 yards but not many will shoot a ½ inch at the same distance. 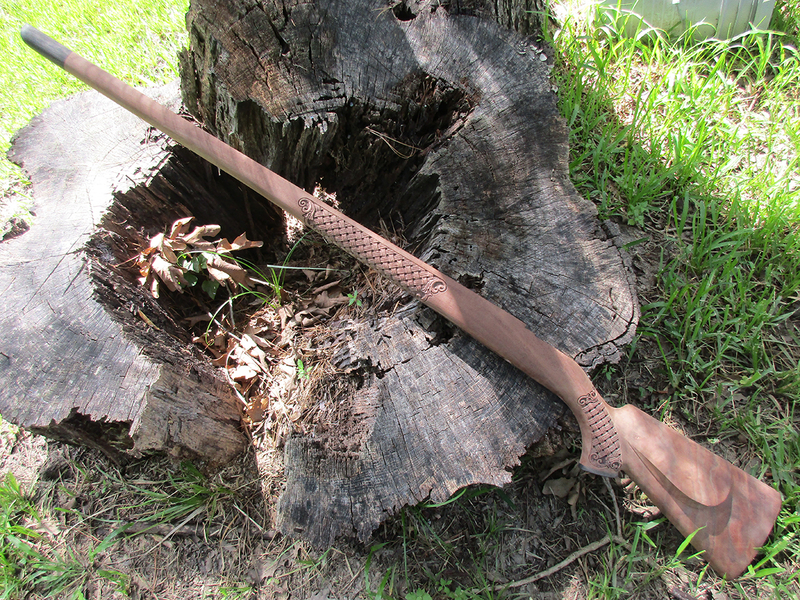 The recoil is not bad just enough to let you know you have shot a rifle with some energy. Energy again is good to above adequate but not a great amount. I guess you could say the 30-06 is good at everything but not great. It is kind of middle of the road and that is a good thing. The 30-06 will do every type of hunting most people will want to do and do it without beating you up. The cost of rifles is less expensive than a Magnum rifle. The cost of ammo is again less than what you will pay for other caliber ammunition. The barrel will not shoot out in six or eight hundred rounds like some of the new higher velocity calibers. The 30-06 just works and works well. The case of the 30-06 has been necked up and down to create more different calibers than any other case. The 25-06, .270 Win, .280 Rem, 7mm Express, 338-06, and .35 Whelen are all factory calibers which use the 30-06 as the parent case. I have made 22-06, 6mm-06, 6.5-06, and Improved cases from the 30-06 to make some really interesting calibers. By using the 30-06 case, you can make a caliber which can hunt anything in the world. If you need a flat shooting varmint caliber then use a 25-06. 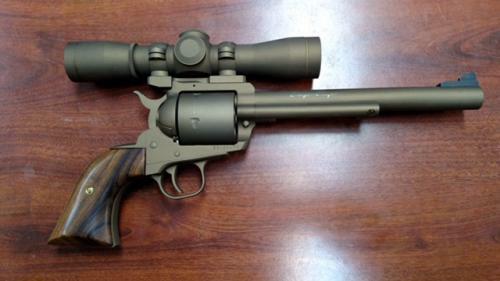 If you are hunting Moose or Elk use a 338-06. 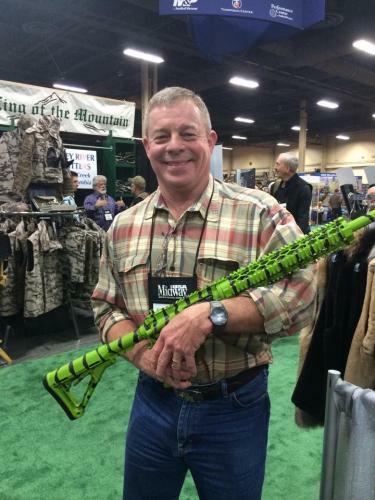 There is no type of hunting that the 30-06 case has not been used for. Both Carol and I hunt with a .35 Whelen Improved which is a 30-06 case necked up to 35 caliber and fire-formed to remove the taper of the case. The neck is changed to a 40-degree angle and now I have a caliber which will shoot 250-grain bullets to magnum velocity. When customers ask to have a classic “Estate” rifle built, one of the calibers I always suggest is the 30-06. Like the .375 H&H, .404 Jeffery or .416 Rigby, the 30-06 is a true classic caliber. It is America’s Classic Caliber which makes it even better. After being around for over 100 years and still performing as well as any of the new Super, Ultra or Magnum calibers, it should be a classic! 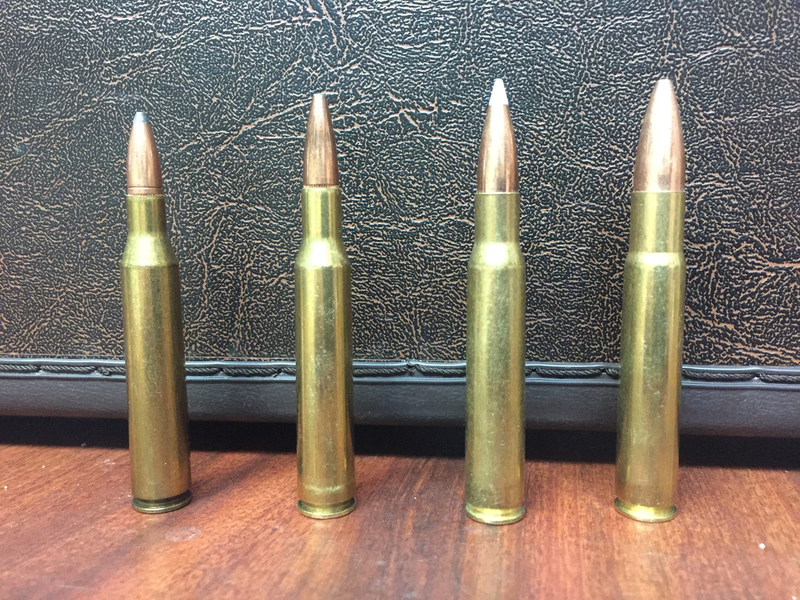 If you are thinking about what caliber to buy that will do 90% of the hunting you will ever want to do, from shooting Axis deer in the Hill Country of Texas to hunting Brown Bear in Alaska, the 30-06 is the answer.